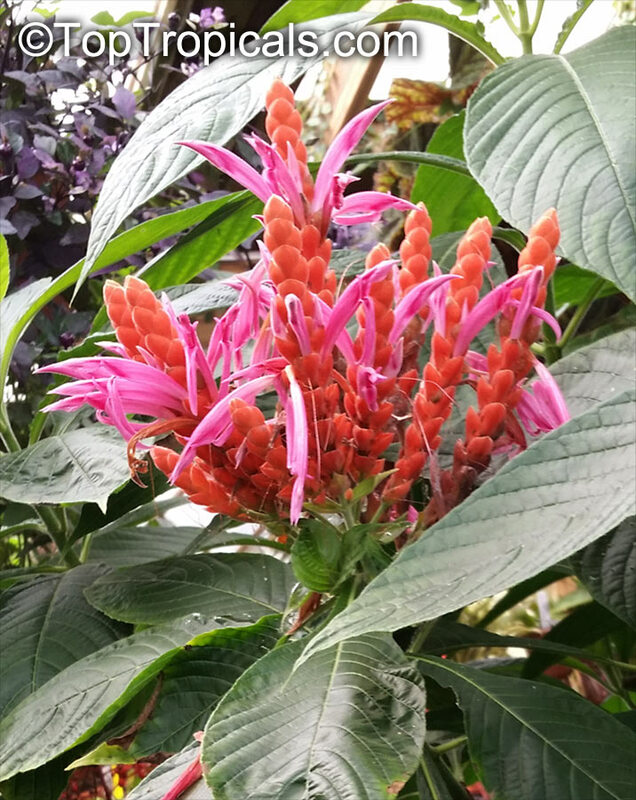 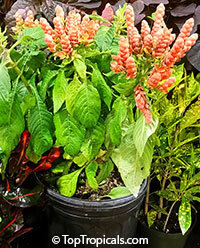 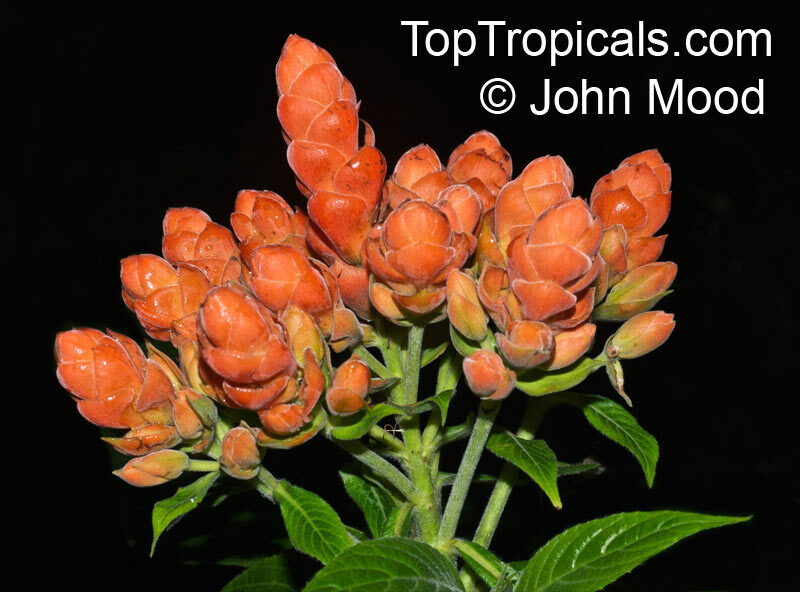 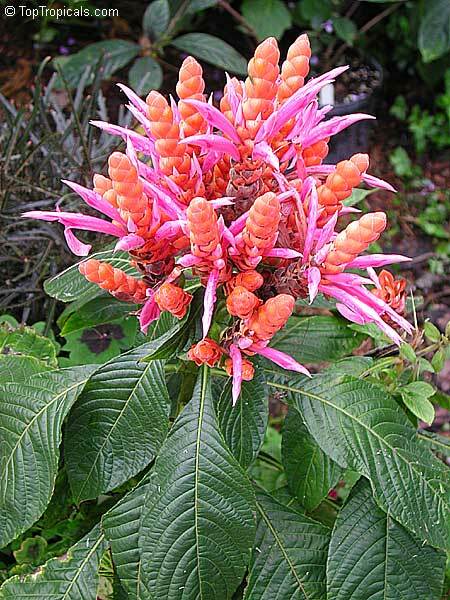 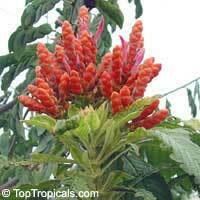 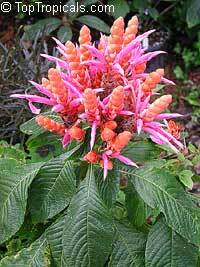 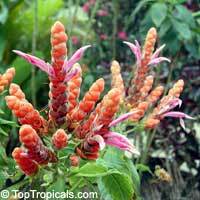 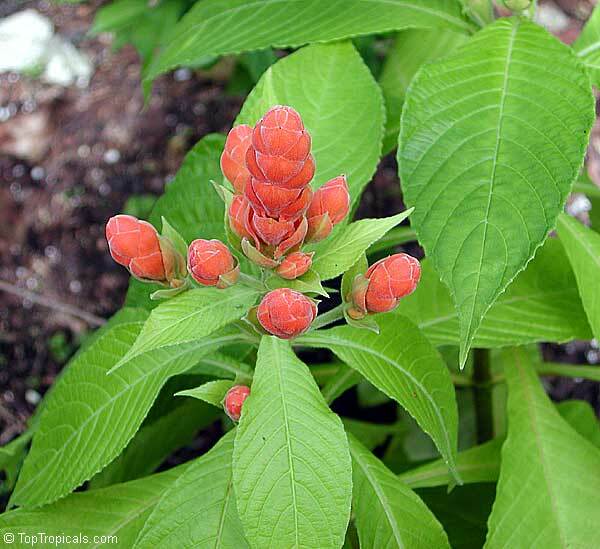 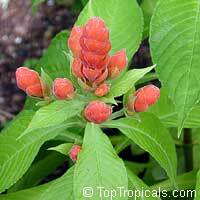 The genus Aphelandra has about 200 species of shrubs or herbs native to tropical America. 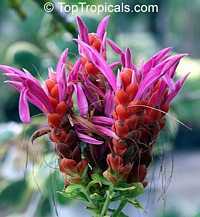 The name is from Greek apheles, solitary, and aner, a male, referring to the single-celled anthers. 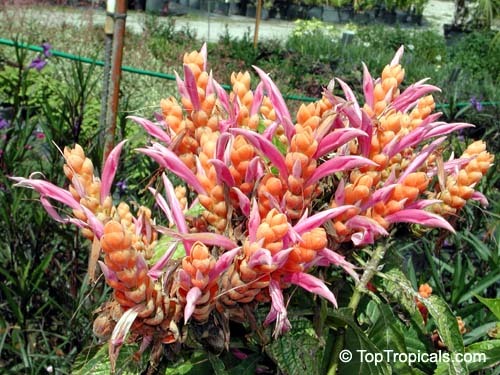 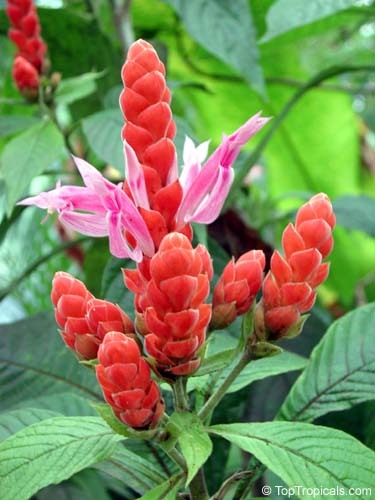 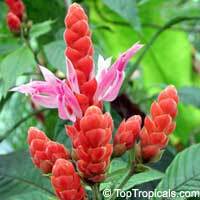 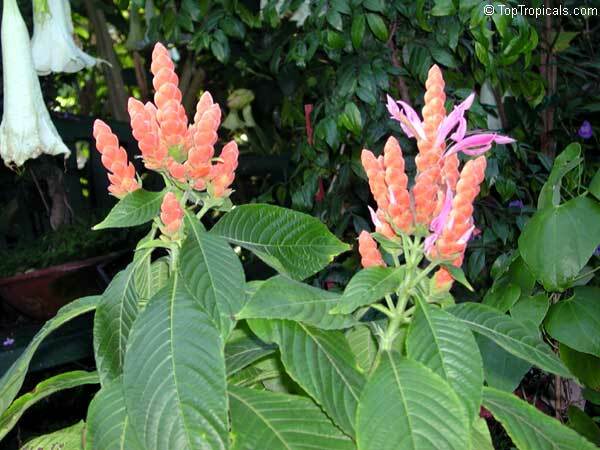 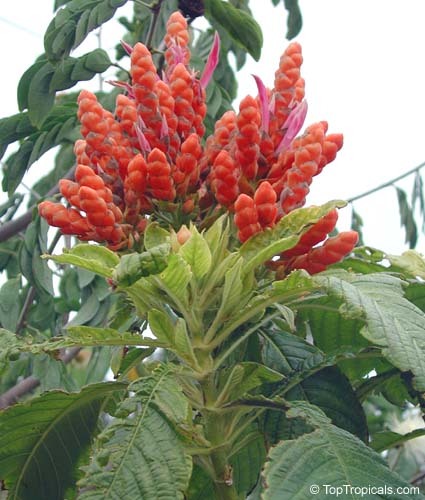 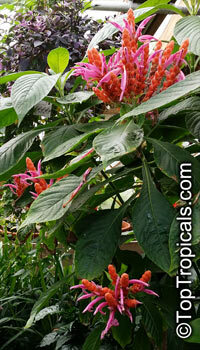 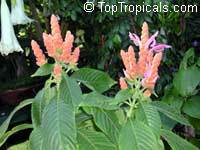 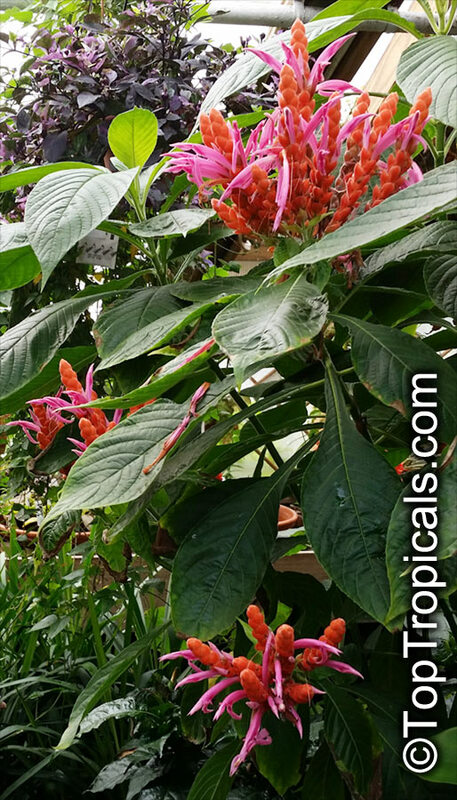 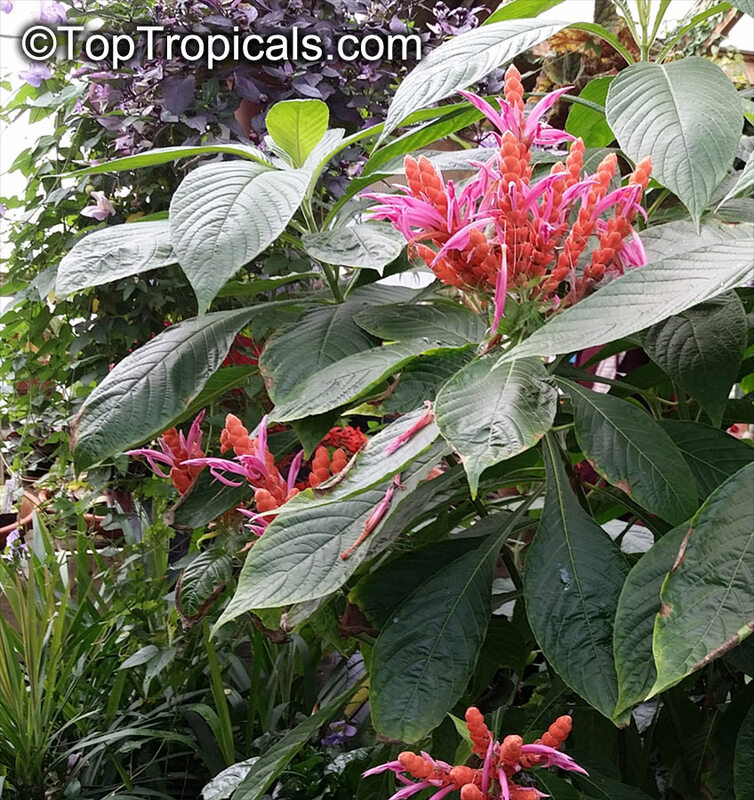 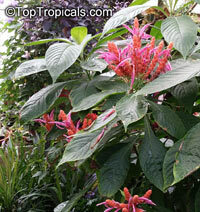 A very tropical looking tender perennial shrub, up to 10 feet tall (3 m), or more. 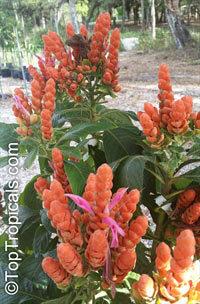 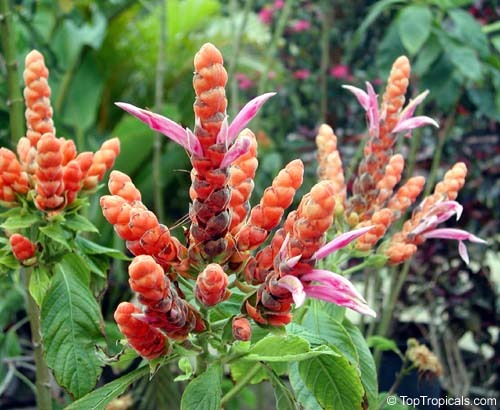 The rose-red tubular flowers are borne in orange-red bracts on 8 inch long spikes - very unusual color match. 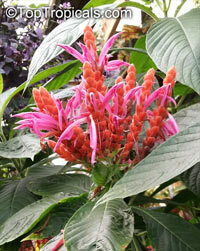 The showy spikes are borne terminally, many together. 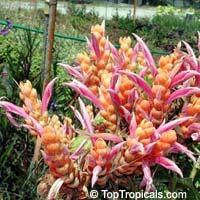 Can be grown outdoors in warm climates. Fleshy leaves get cold damaged with temperatures 40-45F, but the plant recovers easily.